UIC Radio: What made you decide to drop the song “Safe” right now? 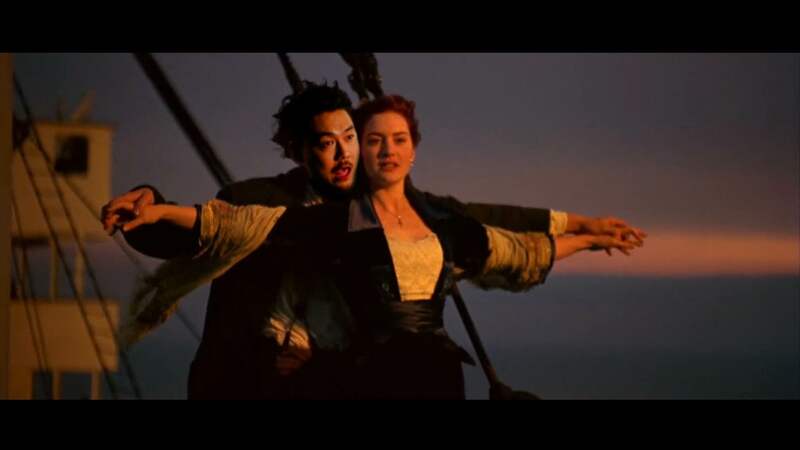 Dumbfoundead: Well actually, I wrote the song right after the Academy Awards. It all has to do with the same thing, which is whitewashing in Hollywood, but at the time specifically because they were talking about the Oscars being “so white.” I was looking forward to Chris Rock doing his monologue – I’m a big fan – and addressing [the issue] head on. After watching the Academy Awards, he did that, but he also kind of threw Asians under the bus with tacky jokes. That’s what kind of made me mad. The name “Safe” is referring to us being considered a “safe race” to be made fun of or be the punching bag, [being] the “model minority,” and [the assumption] that we wouldn’t say anything back. This song was a way to say something back. I was still working on my album while all of this was going on and the community was speaking up. So I was like yo, this is the perfect time for me to actually put pressure on it and finish the song and attach a music video to it. It was kind of a play on white-washing. I kind of wanted to “yellow-wash” white roles. So pretty much, it’s just yellow-washing all of the white male leads. In the end, there’s a twist where I get replaced as well. 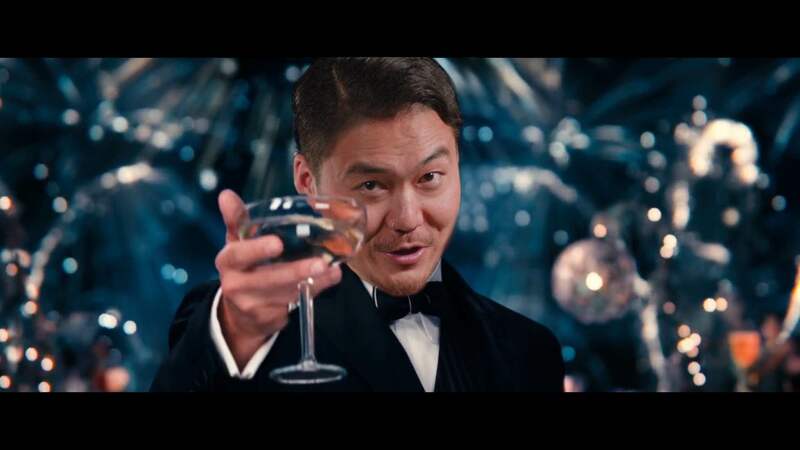 You seem to have been working with more Asian and Asian-American artists and also incorporating more Korean into your songs. What brought upon that change? I’ve always worked with Korean artists. I’ve had songs with Epik High and Drunken Tiger years ago so I’m considered an “older” Korean rapper. I’m planning to put out an album specifically for Korea which will have all Korean features on it, but that’s more like a musical project that’s fun and for me to kind of connect with Korea. But I think it’s important for me specifically as a musician to tell Asian-American stories which I think people confuse – like an Asian musician compared to an Asian-American artist. Its two different experiences. And that’s why songs like “Safe” is important. It’s important that I actually do songs like that because there’s not going to be a lot of Asian-American rappers who are going to be able to do that. There are only a handful of Asian-American rappers. So it’s important for me to tell those stories instead of just being like “I’m Asian and I rap and I exist in this world.” I want to specifically tell those stories through rap or it won’t be told. You were a part of a documentary called “Bad Rap” which premiered a few months ago. How did you get involved in that project? The homegirl Salima – the director – first started following us around [roughly three or four years ago]. I thought that it was just a student project and I was like “okay whatever, let’s do it”. And then after I saw the finished product, which was just a couple months ago, I was pretty blown away by how professional it was and how well it was done. That’s when I was like “yo, this is a serious project.” It’s very important that people watch it too. It’s the first of its kind where it really shows the Asian-American artist experience through hip hop. Because all four of us are people who are trying to do it, doing it, or strugglin’. What do you hope that viewers will get out of watching “Bad Rap”? They’ll see what it’s like to be an Asian-American artist trying to [make] it in entertainment. Everybody’s heard the stories about the pressure from parents, or perhaps the discrimination [that Asian-American artists] might feel in an industry that’s not predominantly Asian, or what not, [but] I think it’s good to see it firsthand. It’s real as f**k. There’s even [scenes of] me stressing out and complaining about s**t. I’m not even just complaining about the industry, I’m complaining about other Asian entertainers. It’s real so it’s really cool to see that. What do you think differentiates Asian-American Artists from Asian artists? As much as I love rappers in Asia doing their thing, there’s a lot that they don’t have to answer to as opposed to an Asian-American rapper. When you’re an Asian-American rapper, we’re the ones dealing with the questions of cultural appropriation. It’s not the artists in Korea [that are] answering to that, and they’re actually appropriating the culture far more worse than Asian-Americans are. [They’re] walking around with corn rows and all that s**t and they could just play the foreigner card. Like “I don’t know better, I’m [not] from here,” you know? But we have to deal with [that] every day. I think, to me, I’m all for telling the story of Asian-Americans, supporting the Asian-American artists. I have nothing against artists in Asia, but like, it’s two different things. 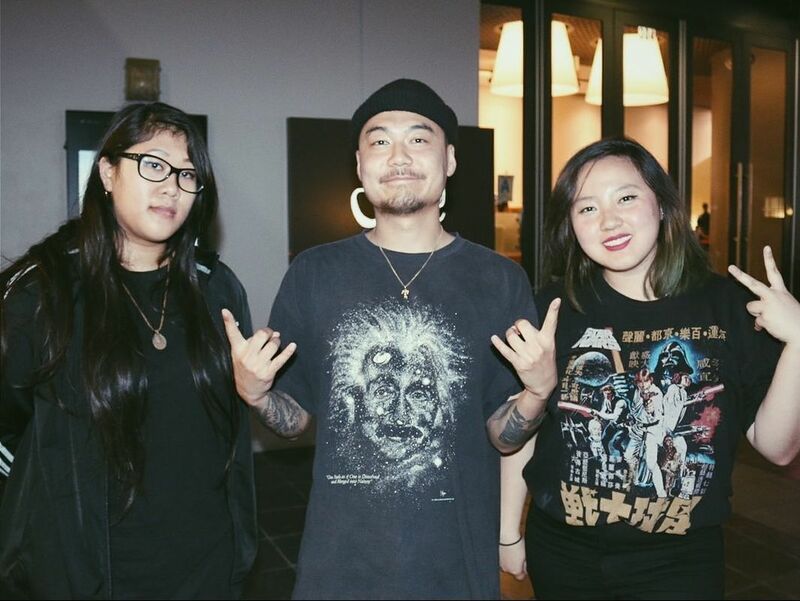 What’s it like to be an Asian rapper in America? I mean, it’s cool. I’m actually one of the few lucky ones who get to do this for a living. I [know] tons of Asian-American rappers and entertainers who are strugglin’ on a daily basis. You see the cats in Asia, and they’re poppin’. It’s a phenomenon. And that’s all good, but I’m focused over here, and I’m trying to push [our] culture and our voices forward. Have you ever considered pursuing music in Korea? I’ve never considered twice about going over [to Korea] and doing my thing. I think it’s important [that] I stay here. Over here, all we have here is direct voices and direct language, like what we’re trying to say. They’re gonna hear every line and every word that we’re trying to convey. So it’s super important for me to be here and do my thing. I get really disappointed when I hear Asian-American artists say, “I’m gonna give up, and go over [to Asia] and try to do my thing.” We lose another voice [and] we have someone just tryin’ to adapt to their s**t.
So what’s next for you? Following “Safe,” are there other topics or issues that you’d like to address in your music? You’re gonna see times where I do songs about important things, but in other songs, I’m just ratchet as f**k. Like in my whole new album, there’ll probably be two or three songs that have a message, in other ones I’m just rapping my a** off. I want to have a good balance. I don’t want to be serious all the time or angry and s**t. I wanna just be a rapper and have people accept me for being a good musician as opposed to somebody with a social message all the time. So I think me being ratchet is a statement of itself. If you haven’t listened to “Safe” yet, check out the song below! You can download for free on Dumbfoundead’s SoundCloud or you can support him by purchasing the song on iTunes. To stay updated on him and his music, you can follow him on Facebook, Twitter, and Instagram.